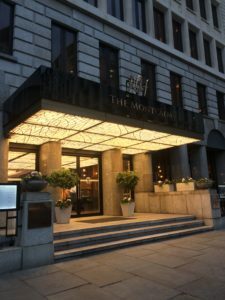 On Monday 21st May, the champagne was poured, the stage was set and a stream of guests had started to arrive at The Montcalm Royal London House. After months of nail-biting anticipation, the wait was finally over. 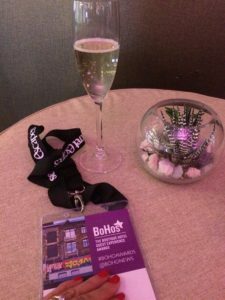 At last it was time to find out the winners of the Boutique Hotel Guest Experience Awards 2018. Back for an exciting second year, the Boutique Hotel Guest Experience Awards, or BoHos, as they also known, were launched by the Boutique Hotel News in partnership with guest feedback and reputation management specialist, GuestRevu and are designed to recognise and reward the delivery of exceptional customer service in boutique, lifestyle and hybrid hotels. 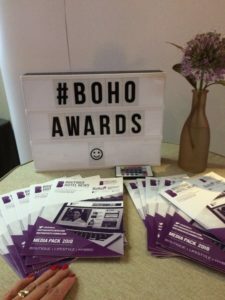 Unlike other awards decided by industry judges, the Bohos are awarded solely based on guest feedback via online booking platforms, review sites and direct customer feedback in the form of questionnaires, This data is collected over a three-month period and analysed by Glion Insititute of Higher Education in order to establish the winners. As you can imagine, I was beyond thrilled to be given the opportunity to attend the awards as championing and celebrating what is truly fabulous in the world of hospitality is firmly at the heart of what I do. There really is no greater accolade than receiving an award based on the feedback of the guests themselves so I was in absolute customer service heaven. 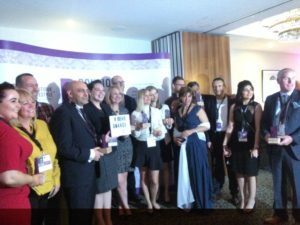 Congratulations to all of the finalists and the nine award winners, especially Tara Lodge and Hotel Indigo St. Petersburg-Tchaikovskogo, who won Best UK Hotel and Best International Hotel respectively. I was so excited to realize that I was sat next to very worthy winners, Sinéad and Conor from Tara Lodge! As his Lordship is from Belfast, I’ll definitely be popping in to see them when we next visit the homeland although it might take me a bit longer to hop over to Russia to see the Hotel Indigo. If you missed them, this is the winners roundup. Here’s to next year everyone! Cin cin! Many thanks to Boutique Hotel News and GuestRevu for the opportunity to attend the awards. 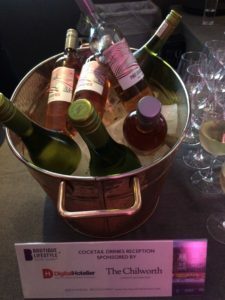 It was so lovely to be able to connect with so many fabulous customer focused and inspiring companies such as Global Hospitality Services, Henley Homes PLC, MLE Hotel and Lighting, Criton, Bethnal&Bec, Drury Tea and Coffee, The Dunstane Houses, Grantley Hall and The Know. Fantastic blog, Lady Jane! All the hotels that took part this year were very guest focused and the winners can be very proud as the competition was tough. With GuestRevu having collected over 16000 questionnaires for the hotels that took part, it was interesting to see that no matter the number of rooms you have, the insights gained from guests is always valuable. Many thanks Amy, it was a real privilege to attend the awards! Thanks for attending Lady Janey and delighted you enjoyed it! Many thanks Piers. It was a real pleasure to attend!